Friendships are an important part of life. Friends can motivate you to follow your dreams and teach you how to be a better person. They also are fun to spend time with and can cheer you up when you are down. But when you have the wrong types of friends in your life, your alliances with them can do you more harm than good. As a result, it is important to choose your friends wisely. Be sure the people who are closest to you are the ones that make your life better not worse. Remember, good friends improve your life while toxic friends destroy it. 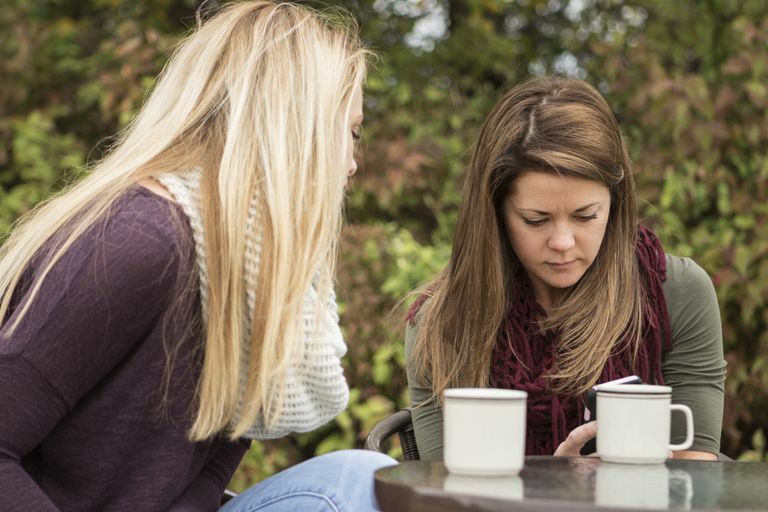 Check out this overview of the top seven types of toxic friends you may encounter. This type of friend is what people call a Fair Weather Friend. She seems to be there for you, makes plans with you, and even invites you places. That is, until something better comes along. This friend is always looking for a way to improve her social status or to find a guy. She also does not want to be alone on the weekends. But once you have served your purpose, she will be gone. Remember, you deserve a friend who is friends with you even when she has a boyfriend or while other friends vying for her attention. With the user, you are just a friend of convenience. This friend is never satisfied with anything she has. As a result, she spends a lot of time whining and grumbling about how the world is so unfair. Negative Nellies also tend to have negative opinions about almost everything. Not only is this type of friend negative about her life, but she also directs that negativity toward you as well. She may criticize everything from the clothes you wear to the people you talk to. They also struggle with jealousy and envy at times and will never compliment you. Remember, look for friends that can be happy for you and supportive and avoid those who are negative and critical. This friend’s life is like one long soap opera. Every day there seems to be disappointments, letdowns, heartbreaks, and sadness. With this friend, you become the problem solver. But remember, she is probably not really interested in changing because she actually thrives on the drama. What’s more, this type of friend is typically self-absorbed and is not interested in hearing about your issues or concerns. Remember, good friends have healthy outlooks on life. They also are there for you when you need them. A Drama Queen is so wrapped up in her life, she never notices when you might need an encouraging word. This friend is mean and controlling. She makes little jabs and digs, often in front of others and passes her comments off as “jokes.” Instead of letting it get to you, remember this is her way of making herself feel better while trying to make others think less of you. Keep in mind though that true friends do not ever put each other down. So, if you have a Critical Cathy in your life, you may want to cut ties to this friendship. Or, at the very least call her out on her critical nature. You know that friend who is always in the know? She’s the one spreading rumors and engaging in gossip. What’s more, this friend is dangerous because if she is talking about others, then she is likely talking about you too. Remember, your secrets are not safe with this type of friend. So be very careful what you tell her. This type of friend always needs you and expects you to drop everything when she calls. While it is important to be a supportive friend, with this type of friend, you have to set boundaries. If you do not, after awhile, this type of friend will drain your energy and your time. While hanging out with this friend seems adventurous and exciting, it is also very dangerous. This friend will surely get you into trouble. What’s more, the instability and unpredictability of this friend can be draining after awhile. Most likely, you also will deal with peer pressure from this friend on more than one occasion. If at all possible, it is best to avoid this type of friend. Even though hanging out together will seem exciting at first, in the end, this person’s lack of responsibility will start to weigh on you and damage your own life in the process.